for our first-ever "HAUNTED HOUSE EXPERIMENT!" 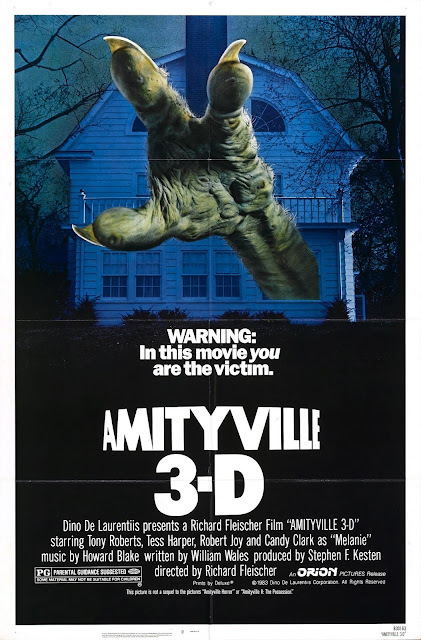 The Movie: Amityville 3D (1983) Join us for the 35th anniversary of the only feature-length haunted house movie shot in 3D, and arguably the best entry in the Amityville series. However, it is worth noting that because of a lawsuit between the Lutz family (the one-time owners of the infamous house) and the film's producer, and despite the use of the term 3D in the title which would imply it is the third film in the series (which it really was), Amityville 3D is technically not a sequel to other films and is supposed to be more of a stand-alone reboot with new characters. Regardless of its place in the franchise,, the novelty of three-dimensional ghosts is the real reason many aficionados feel this is an underrated classic. So, don't miss this unique chance to see orbs of ectoplasm float off the screen, toward the audience, and into the third dimension! 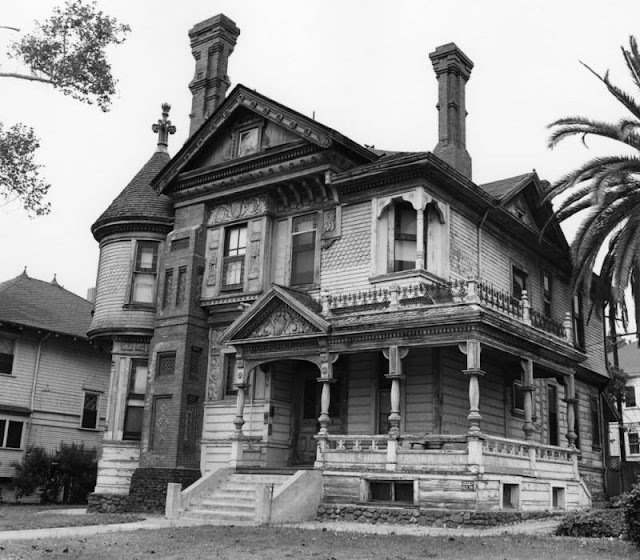 The Haunted House Experiment: We are putting the ghost lore of the Hale House (pictured below) to the test. Before watching this film about the ghosts of an old haunted house, you can tour this old (haunted) house and maybe have a paranormal experience yourself. If you are (un)lucky enough to actually see/hear/feel something, we want to know about it. As a participant of our "haunted house experiment," you will receive your own individual floor plan of said house (with a pencil), which will be used to record the location of any "activity" or "heebee-jeebees" you may experience as you walk through this house, room by room (ground floor only). Then, once you have past through all these possibly haunted spaces, please return your (hopefully marked-up) hand-out floor plan to GHOULA. Please keep your info confidential to discourage any copy-cat contamination. Based on everyone's goose-flesh data, "hot spots" will be determined and revealed at the end of the screening. The actual stories associated with the house's ghost(s) will also be revealed, and compared to the collected data. Will there be one room, or area, that most people experience/feel something? If so, will that spot correspond with the known sightings in that house? Join us and find out... if you dare! NOTE: This is not a themed "haunted attraction" with special effects and costumed actors. It is simply a walk through a haunted house to see what feelings it naturally evokes. Also, if you have "ghost-hunting" equipment/tools, you may bring them, and use them as you walk through the house, provided you do not interfere with the experience of others. During a recent visit to this neighborhood bar, GHOULA discovered that the staff was unaware of (or unwilling to talk about) their haunted reputation. In decades past, the sightings were so common that even the much beloved food critic Jonathan Gold, when reviewing the then restaurant at this location, made a passing reference to the building's resident "Hollywood ghost." No one seems to know for sure how many restaurants/bars have occupied this humble structure, but it appears that this address applied for a liquor license at the end of Prohibition, which would indicate bottle service going back at least to the early 1930s (and possibly illegal hospitality before that). Given the building's long history, the ghostly young woman seen by (past) staff and patrons could realistically be anyone from any era. That said, most believe "she" is the spirit of Nina Thoeren, the daughter of the screenwriter Robert Thoeren (who is best known for his involvement with Billy Wilder's "Some Like it Hot"). On a warm summer night in 1960, minutes after she ended her shift at her workplace, a bookstore on Melrose, while walking to her nearby apartment, the 21 year old was raped and murdered in a car parked on Heliotrope not far from the entrance of this tavern. It is unknown if she was forced into vehicle or if she went inside on her own (maybe to get a lift home). 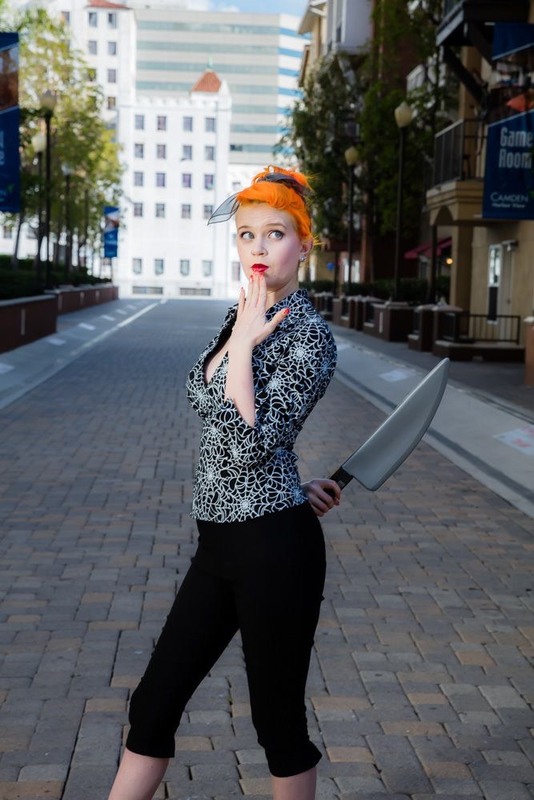 After her killer strangled her with her own red pants, he dragged her lifeless body across the street to hide it among the piles of lumber of a then college building under construction. The perpetrator of this ghastly crime was easily and quickly caught by the authorities. Even though, this case was sensationalized in the local papers because of the "red slacks" angle and its possible connection/similarities to the "Bouncing Ball Murders" (a string of similar murders at the time in that area involving an unidentified man that would wait for his female victims to walk past while he bounced a rubber ball), this gruesome crime is largely a forgotten piece of this neighborhood's history. If it is remembered at all, it is because it inspired an infamous artwork (part visual/part performance) by Jean-Jacques Lebel called "Happening Funeral Ceremony of the Anti-Process" that was presented at Europe's first "Happening" in 1960 (shortly after her death), in which attendees/guests were asked to participate in a faux funeral for a sculpture of a murdered corpse. Or, people (and very few now) remember this incident because her ghost still seems to linger on in the area of her murder, and isn't that part of the reason "ghost stories" persist as well. These are spoken tales that force society to confront tragic and shameful events that civic boosters would prefer we just forget. Does this female phantom just want people to remember her? Some cultures believe that the soul dies a second time when there is no one left to tell their story. So come out, join us, share ghost stories, toast this ghost, and remember ... If you dare! Yes, that's ghost stories combined with riding public transit. What could be scarier? Is there a better way to explore the haunted history of Los Angeles than by traveling underground from location to location via our very own (dead) Red Line Metro Subway? We will meet-up at Union Station (the starting point for the Red Line) and then travel through 13 stops to the North Hollywood Station (at the end of the line), getting off and on along the way. 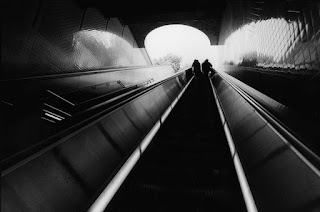 In addition to Union Station and the North Hollywood Station, we will stop at few other stations, step off the train, rise to street-level, and discuss the ghosts and haunted sites visible from that spot before going back aboard to the next stop on our tour. Come out and hear spooky tales about a spirit solider, a vanishing padre, and a ghostly car. As well as many other phantom figures from our past that haunt our present. Meeting Place: The palm tree-lined island in front of Union Station's main entrance. 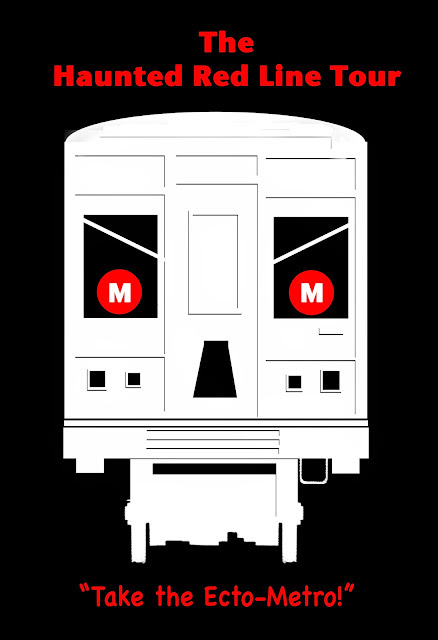 Please purchase the Metro Pass (not a "Metrolink" ticket) before the meet-up to save time. The machines can be confusing, so look for metro day fare and not "add fare." This paranormal historian has traveled the globe, working alongside experts in the field as well as film and television crews. She calls Los Angeles her home and the spirits of the city her friends. With her former partner she founded "What's Your Ghost Story?" an online community for people to share paranormal experiences and seek answers from experts. Connor has also worked with Los Angeles Hauntings Ghost Tours, guiding people through LA's haunted histories. 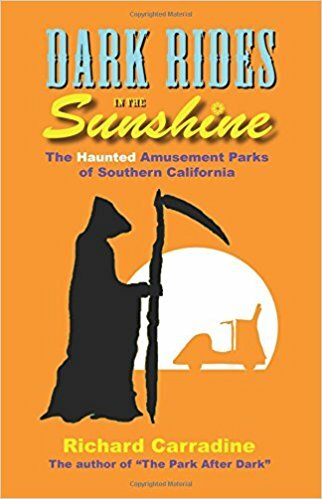 It was through LA Hauntings that Connor met Richard Carradine of GHOULA when they collaborated on the Haunted Houdini Tour of Los Angeles. Connor looks forward to being your host on this year's GHOULA Red Line Metro Tour! Parking: Since everyone participating in the tour will need a Metro Day Pass to ride the subway, it is advisable to park at one of the pay lots ($3.00) provided by the Metro at either the North Hollywood Station (our end point) or the Universal City Station (or any of the other lots on connecting Metro lines), and then just take the Subway to Union Station to meet-up with the group The lots around Union Station are expensive and they may close early. Free street parking is available around the North Hollywood station, but please read posted signs concerning parking regulations. A FREE WALKING TOUR of our historic pueblo! 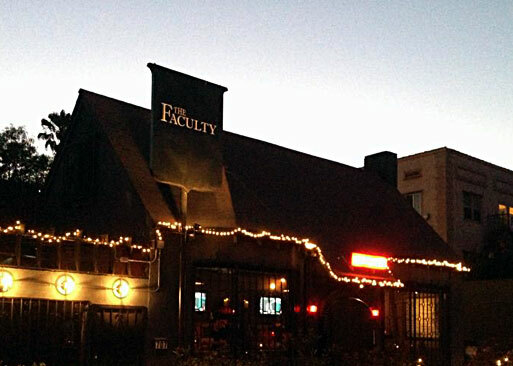 Take this FREE tour of one of LA’s most haunted environments... if you dare! 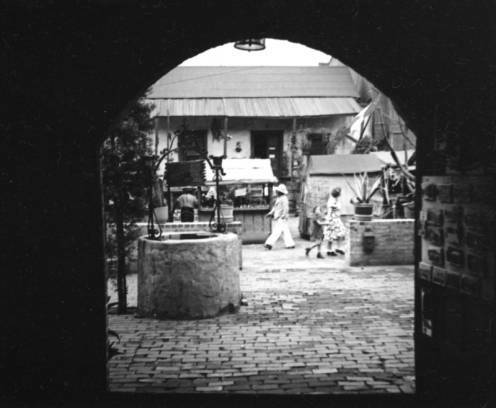 The colorful shops and restaurants on Olvera Street are still homes to their first residents. Encounter the spirits and legends of the oldest "street" in Los Angeles. The tiny little pueblo still contains over 20 buildings and 100s of spirits. Find out where the lizard people hid their treasure and secrets. Discover the true story of Pio Pico’s hotel and its tragic history. Hear weeping widows. 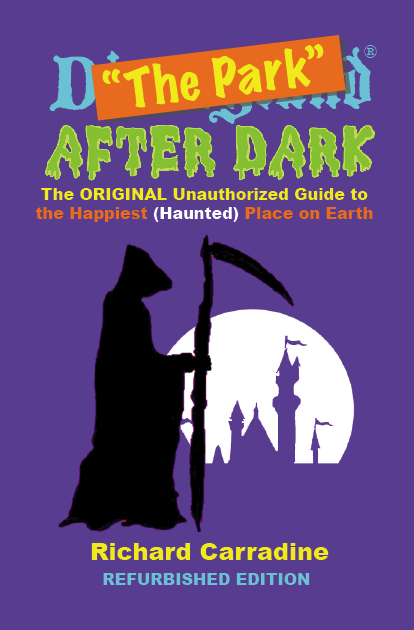 Learn the stories of haunted food, glowing crosses, and many more. Note: Even though, walk-ups are welcome. Please RSVP (here). Connor is a paranormal historian known as the “Paranormal Pixie”. She has traveled the globe, working alongside experts in the field as well as film and television crews. today she calls Los Angeles her home and the spirits of the city her friends. With her former partner she founded "What's Your Ghost Story?" 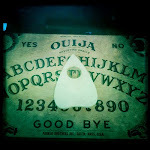 an online community for people to share paranormal experiences and seek answers from experts. 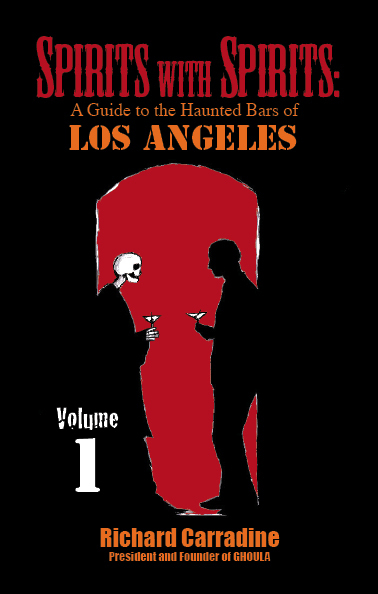 Connor has also worked with Los Angeles Hauntings Ghost Tours, guiding people through LA's haunted histories. Connor currently has been working alongside Richard Carradine of Ghost Hunters of Urban Los Angeles they have collaborated on the Haunted Houdini Tour of Los Angeles, she recently hosted GHOULA’s iconic Red Line Tour.